Vince Flynn’s thrilling bestseller sends counterterrorist agent Mitch Rapp on a collision course with America’s most feared enemy. No longer willing to wait for the international community to stop its neighboring enemy, Israel brings down Iran’s billion-dollar nuclear program in an ingeniously conceived operation. The attack leaves a radioactive tomb and environmental disaster in its wake, and has Iranian president Amatullah calling for blood—American blood. 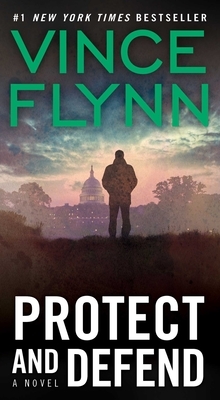 Seeing opportunity where others fear reprisals, Mitch Rapp devises a brilliant plan to humiliate Iran’s government and push the nation to the brink of revolution. But when a back-channel meeting between CIA director Irene Kennedy and her Iranian counterpart goes disastrously wrong, Rapp is locked in a showdown with a Hezbollah mastermind in league with Amatullah—and he is given twenty-four hours to do whatever it takes to stop unthinkable catastrophe.